Lawn Fertilizing Service and Crabgrass Control in Macomb, Oakland and Berrien County Michigan.Â Â www.mastergardenerlawncare.com Award-Winning Lawn Fertilizing Service by a Master Gardener.Â Master Gardener Lawn Care is ready to start controlling crabgrass in Macomb, Oakland and Berrien County, Michigan.Â Master Gardener Lawn Fertilizing Service has the passion for caring for lawns that comes only from a Master Gardener!Â We enjoy what we do and our clients’ lawns are the proof! This is the time of year lawn fertilizing services start springing into action.Â It’s great to be outside again!Â We would like to give you a few turf tips on how to get the best results and a great looking lawn this year, check our website: lawnfertilizingservice.com for our latest advice.Â For our customers it is time to sit back and enjoy the Spring weather as Master Gardener Lawn Fertilizing Service does the work for you. Â Are you a do-it-yourselfer?Â You can also access our website at: mastergardenerlawncare.com where we will walk you through the lawn care season one application at a time.Â Keep checking back and you’ll get all the steps you need to get the lawn of your dreams, and keep it all year long.Â The Master Gardener Lawn Care website will also help inform you about diseases and pests that are active in your area this season.Â Lawns are what we do and we do them BEST! 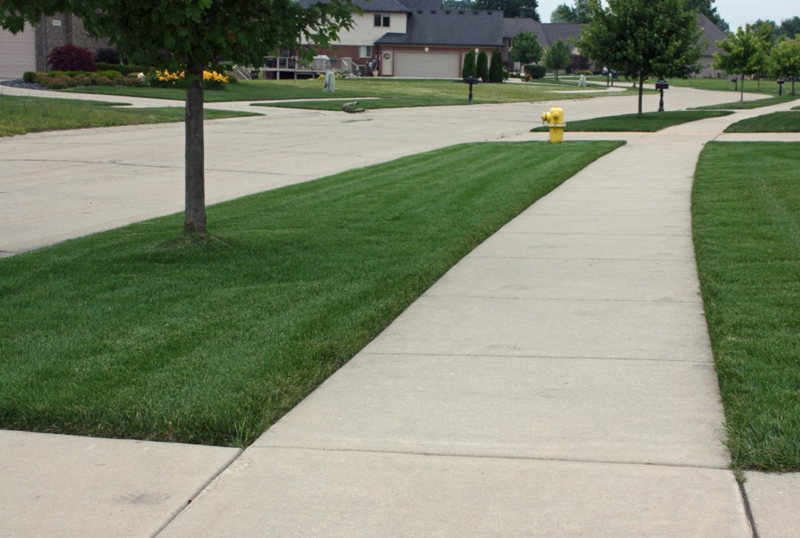 The end of March is, in Michigan, when we begin to apply Application #1 or the Early Spring Application.Â In most cases we will be applying a pre-emergent crabgrass control and a special blend of organic based slow-released lawn fertilizer. Timing of this application is extremely important in order to get the maximum benefit of the pre-emergent and save you money in the long term. 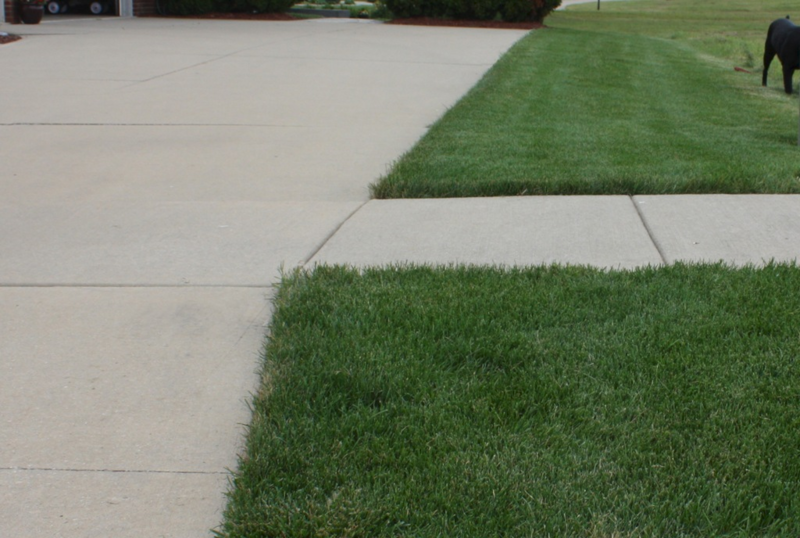 To control crabgrass that has germinated can be very expensive.Â Because we apply a professional grade product we have a longer window to apply the product.Â If you do it yourself the best advice we can give you is not to apply the pre-emergent too soon.Â Wait as long as possible. 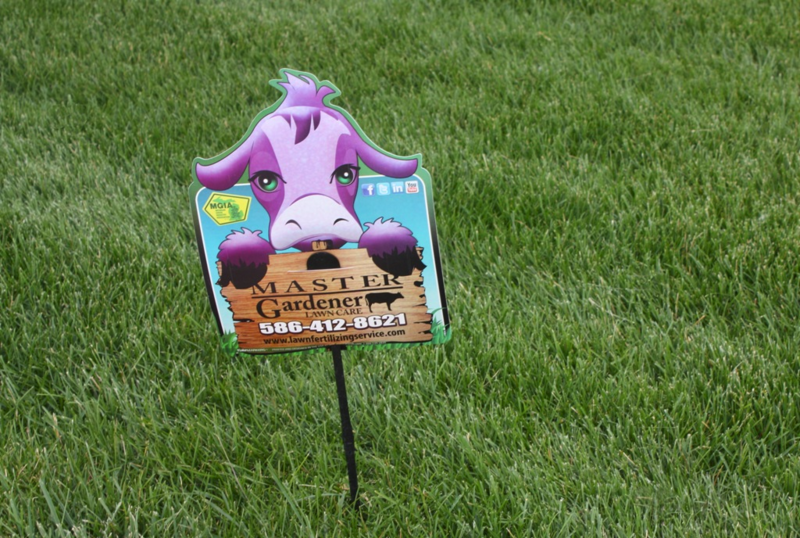 Here is your first Master Gardener secret of the year!Â This is how we determine when to apply the crabgrass pre-emergent to achieve the best control. Two words: SOIL TEMPERATURE! Â We actually measure the soil temperature several times a week during the Spring to make sure we are on schedule to get the product on our customers’ lawns in time. To be effective, pre-emergence herbicides must be in place before germination takes place. Pre-emergence treatments are preferred because they are generally more effective for crabgrass control. In general, pre-emergence herbicides should be applied when soil temperatures reach 50 to 55 degrees Fahrenheit for 3 days.Â A great indicator to help you determine when the soil is getting close to the target temperature is the blooming of the forsythia plant.Â Forsythias are the yellow bushes you see everywhere in the Spring. Â Applying at this time will allow the pre-emergence herbicide enough time to form a barrier before the crabgrass seedlings germinate.Â Pre-emergence herbicides work by inhibiting the growth of young seedlings. Â These products do not eliminate established plants.Â In Michigan, this is usually around April 15 but can be as late as May 1. Â Applications made too early in the spring have the potential to break down before the end of the germination window. So, when you see those yellow bushes, apply your crabgrass control product and you will great control of crabgrass for the entire season! Â NOTE: Knowing when crabgrass is likely to be present is helpful in proper identification and control of weedy grasses in your lawn. 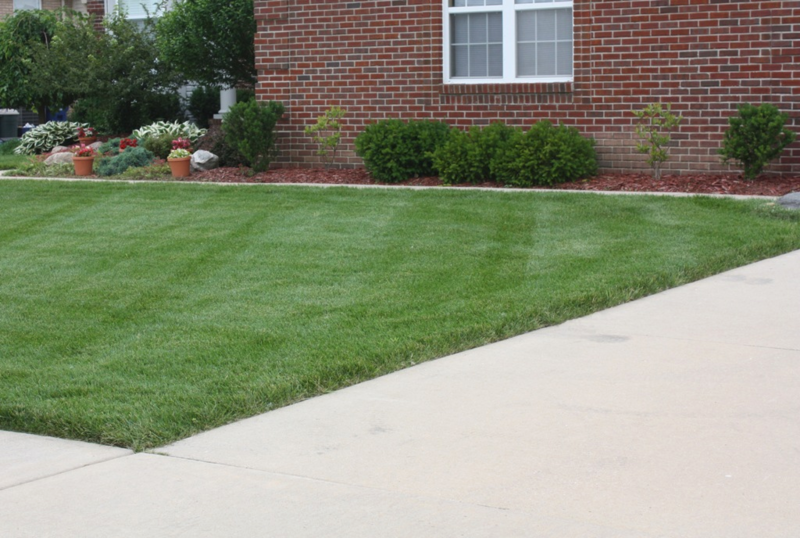 Homeowners who complain of crabgrass infestations in April and May are usually identifying tall fescue, nimblewill or quackgrass. Crabgrass germination typically begins in early May when soil temperatures reach 62 degrees Fahrenheit at a depth of 1 to 2 inches, or about two weeks after the forsythia blooms beginÂ to drop. Therefore it is almost impossible to have crabgrass present in a lawn in April or May. Â Â Â Â Â About the AuthorÂ PatrickÂ Wesley is a Master Gardener and founder of Master Gardener Lawn Care located in Macomb County, Michigan.Â Â Pat’s Company, Master Gardener Lawn Care, provides anorganic based lawn fertilizing service throughout Macomb, OaklandÂ and Berrien County, Michigan.Â Master Gardener Lawn Care was established in 1991 and provides lawn fertilizing service, core aeration, weed control, soil testing and insect control.Â For more information on our lawn fertilizing services or to request a free lawn care analysis please visit our Free Lawn Fertilizing Service Estimate page on the mastergardenerlawncare.com website.